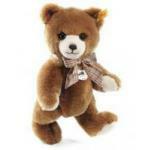 Steiff Teddy Bear and World of Steiff Bears Shop. 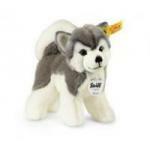 Shop with confidence from our two physical stores, FREE Steiff Gift Box and Free Delivery. 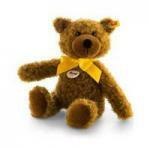 Steiff and Steiff Teddy Bears have become synonymous with quality and tradition. They have been cleverly pleasing both adults and children alike for over 130 years. Here at the World of Bears we like to think we give a service worthy of the Steiff Bear and the Steiff name. We stock a fantastic, varied range of charming and elaborate pieces for you to choose from. 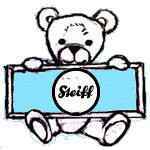 For online customers, we offer a photograph service, whereby we take photos of a selection of the Steiff Bear of your choice, so that you can choose your favourite. 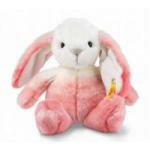 We are official stockists of Steiff Teddy Bears and Animals. For 2019's exciting and desirable new releases and designs, take a peek right here. You will find the latest releases and Masterpieces for 2019 right here. From perfect tree ornaments to seasonal bears and characters, to the much anticipated, annual Christmas Musical piece. 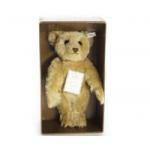 For that special mohair Steiff Bear that will become your forever friend, there is no beating a Classic. 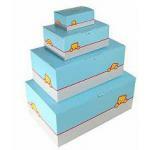 Wonderful animals and characters that come with their own bespoke box. A contemporary twist on traditional symbols of love for the Bride and Groom as true heirloom, keepsake gifts. 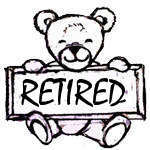 At World of Bears we hold an extensive back catalogue of previous years rare and retired Steiff Limited Editions. Snuggly and cuddly baby safe First Teddies and Annual Cosies, that are just perfect for Newborns, or for anyone having their First Teddy Bear! 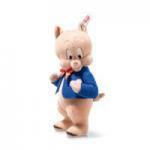 Here you will find some well loved Steiff Licensed Characters such as Paddington, Mecki and Micki, Knopf and Knuffi. Gorgeously charasmatic, long limbed monkey's and a sloth, with magical, magnetic paws, pawfect for holding onto you. 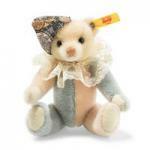 Steiff Classic miniature mohair pieces, showing how much you are loved, with their endearment and sentiments. For making that gift totally unique, celebrate a loved one by having a Steiff Bear completed just for them! For that 'wow' factor for your accessories, here are some colourful keyrings and desirable necklaces. An everyday item, with that fabulous Steiff touch, making a statement without even trying. 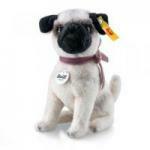 From man's faithful best friend, to playful pups and detailed breeds, Steiff's canine pals rival crufts! 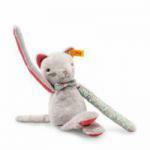 The purrfect lap cat, is what you will discover with these enticing kitties, gorgeously cuddly and pawsitively cute! 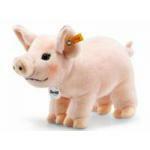 Steiff pets are just as endearing and delightful as your much loved pet at home, which will capture your heart? Renditions of nature's best that have sadly found themselves on the endangered list. From the wild animals around it, to those living within it - Farm Animals will continue to enchant and delight. Hiding within Wild Animals you will find, fabulous Lions, desirable Tigers, endearing Elephants and playful Monkeys. Lovable and creative are those that are found in Artic and Marine World - from colourful Fish, to sleepy Polar Bears, fun Penguins and the adoring Husky. 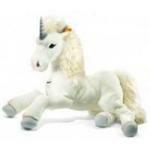 Going into the realms of magic and myth Fantasy Animals add their own share of fairy dust, from beautiful Unicorns to colourful Dragons. Enchanting, comforting and a forever friend, is what you will receive should you choose a Steiff Teddy Bear. Here you will see awesome sizes of cuddleness, with endearing faces and welcoming, snuggle hugs! 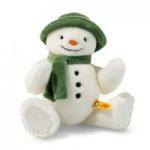 Fabulously inviting Steiff Teddy Bears in various guises, can come along to play, thanks to their handy travel cases. Cheerful and happy are these Steiff bean filled, floppy characters, that are gorgeously tactile too, in lovable animal designs. A nod to yesteryear, enticing Riding Animals are just as delightful as they ever were - just get on and go! 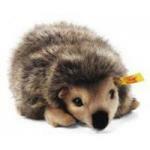 For those countryside Steiff favourites, such as wee Mice and Moles, Squirrels and Hedgehogs, quick Foxes and elegant Deer. 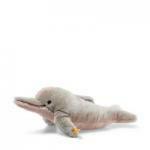 For that alternative look, or wanting more of that tactile touch, your youngster will delight in their snugly new friend. 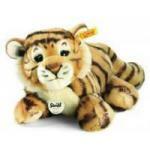 Here you will find a fabulous Steiff Baby Safe Range including, new Companions, snugly Comforters, wonderul Lullabys and Rattles. They may be prehistoric, but Dinosaurs have a new lease of colourful life within them, bringing the charm into paleontology. Come with Free Gift Box where indicated. For larger cuddle buddies, you cannot beat the fabulous, Steiff Studio Masterpieces, showing off their magical talent. 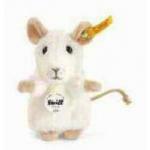 Since 1880 Steiff have enthralled and enchanted us with their creativity and achievement. 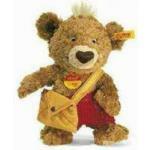 Is your special Steiff friend in need of repair or attention? then just click here to help him out! 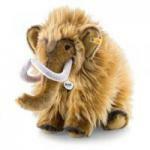 Previous Steiff Classic designs, that are no longer available.